For patients with painful knee arthritis where conservative treatments are no longer adequate, a total knee replacement may be recommended. Dr Won utilises either computer-guided 3D-printed patient-specific blocks or Orthoalign gyroscopic accelerometer navigation technology to enhance accuracy of the procedure. If only part of the knee joint is affected, Dr Won can also offer partial replacements such as the uni-compartmental replacement and the patellofemoral joint replacement. He also utilises the MAKO robot-assisted technique. 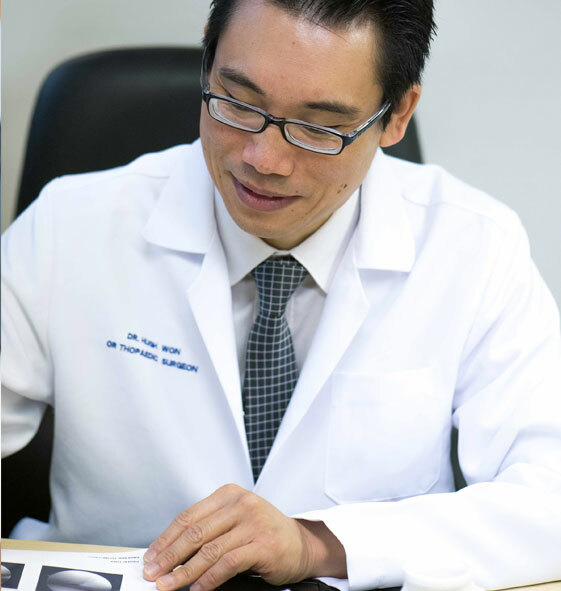 Dr Won performs keyhole surgeries for torn cartilage trimming or repair, removal of loose bodies from the knee joint, and ligament reconstruction. For patients with ACL rupture, typically the hamstring tendon graft is used to reconstitute a new anterior cruciate ligament. Occasionally, artificial grafts can also be used if it is more suitable.